As we all already know, March 8th is International Women’s Day. This year the celebration of women’s courage and the commemoration of all those who fight for gender equality is even more special in the Berlin-Brandenburg region, as 2019 is the first year March 8th is going to be an official holiday. So if you live in the Brandenburg area, you have an extra reason to hang out with your friends and make the most out of this event. 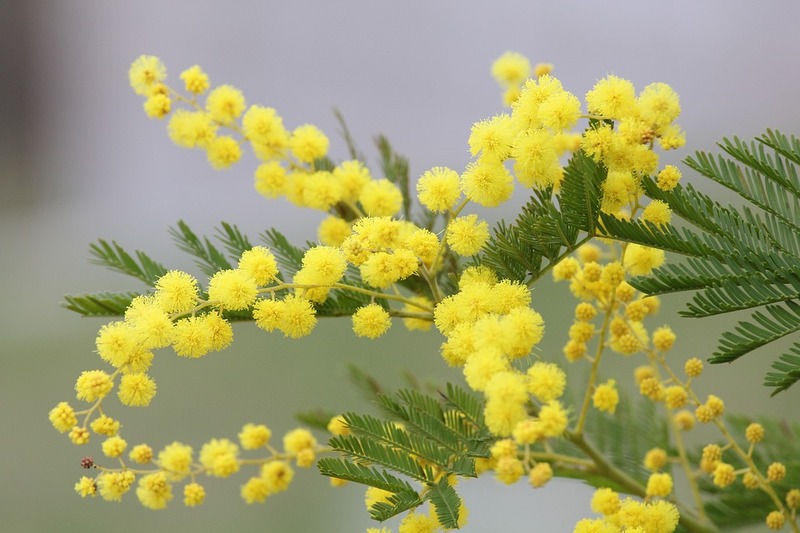 The most iconic symbol of the International Women’s Day for Italian people is the mimosa, a yellow flower which blooms around the beginning of March. Italian girls and women are gifted a mimosa branch by their friends, colleagues, or simply family members. Mimosa, however, is not only a flower. I’m sure you have already heard of the mimosa as a cocktail (by the way, it’s super easy to make). All you need is prosecco and orange juice. Grab a flute and pour in it 3cl of orange juice (best if freshly pressed) and then 7 cl of Prosecco. You’re good to go, but if you want to make it extra fancy, we suggest filtering the juice. If the Mimosa cocktail didn’t spark your interest for any reason (your loss! ), I am sure you won’t be able to say no to cake! The Mimosa cake is a lemon cream stuffed Italian dessert which was invented in the 1950’s in Rieti. It takes its name from the sponge cake crumbs on its surface, which makes it look like the actual flower. As one would expect, this cake is a very popular option to celebrate the National Women’s Day. What if you’re not a fan of cocktails nor cakes? Well, it doesn’t really matter, then! What is important is that you celebrate the International Women’s Day by remembering the courage of all women who fought and are still fighting for gender equality all over the world. Happy International Women’s Day from all the True Italian Staff!